All CAMELBACK EAST homes currently listed for sale in Scottsdale as of 04/19/2019 are shown below. You can change the search criteria at any time by pressing the 'Change Search' button below. 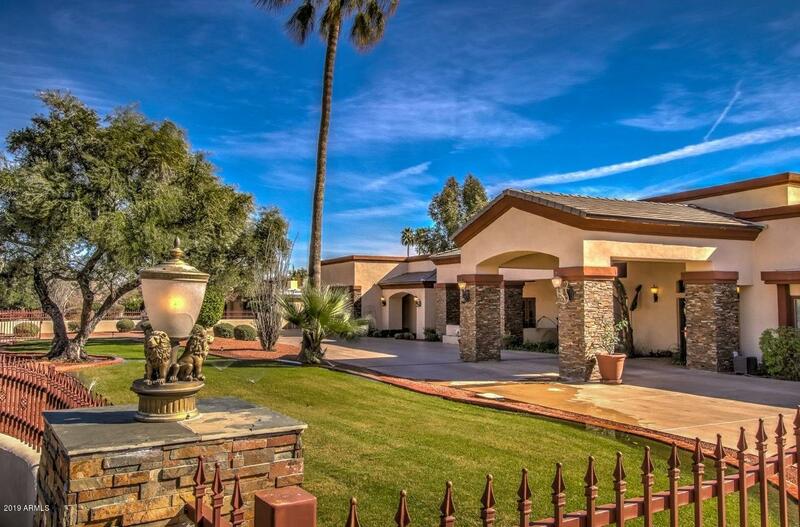 "This expansive home is situated on three-quarters of an acre near the base of Camelback Mountain and the World-Famous Phoenician Resort, offering stunning views of Camelback mountain and Arizona sunsets. The privately gated 5-abedroom, 6100 sf entertainers retreat sits on a beautifully manicured North-South facing lot that includes a spacious roof-top view deck, resort-style backyard with beautiful pool, spa and multiple covered entertaining areas with built-in heaters, grill station and misting"